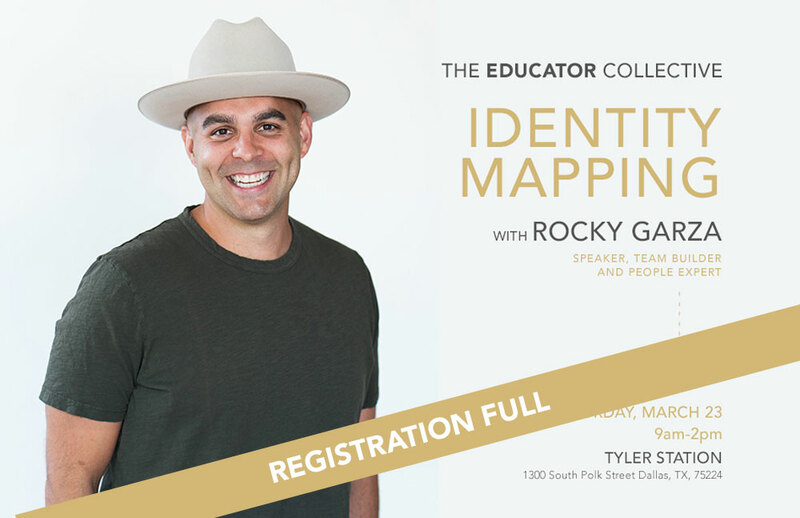 TEC is excited to once again offer a free “Identity Mapping” session for TEC members in partnership with Rocky Garza. Rocky is a people and culture development expert who has worked with organizations, executives, and creators across the Metroplex. In this 5-hour intensive, Rocky will guide you as you identify your values, strengths and actions in order to create a map of your identity. Our goal is for you to walk away with the clearest picture of who you are that you have ever had. We hope you will join us on Saturday, March 23rd at Tyler Station in North Oak Cliff. Breakfast, lunch, and coffee will be provided. Seating is limited so reserve your spot now - you won’t want to miss this! Find out more about Rocky and Identity Mapping here.